CIRC is currently in the beginning stages of our newest Community Adaptation effort, the Spokane Community Adaptation Project (SCAP). The project is intended to help the community of Spokane, Washington respond to climate impacts related to local water resources. This blog introduces you to what you need to know about SCAP, its brief history, our hopes for the effort, and how CIRC’s Community Adaptation approach represents both a challenge and an opportunity for the communities we work with. With SCAP, as with all CIRC Community Adaptation efforts, the local community is in the driver’s seat. 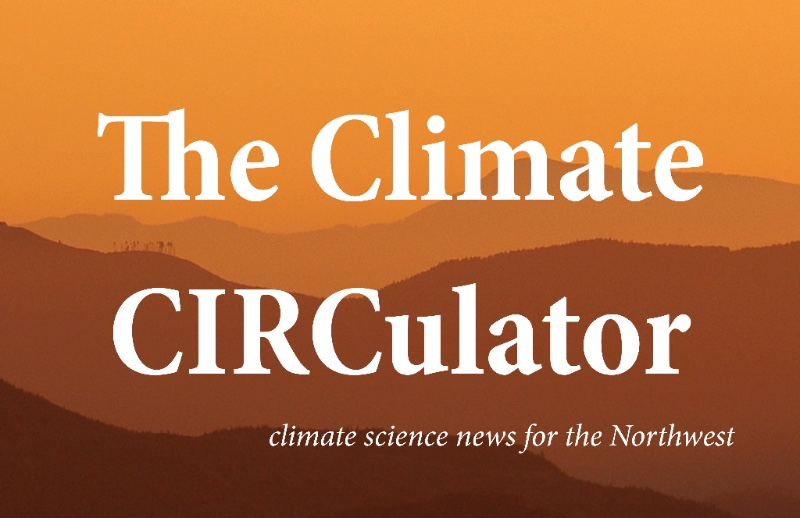 A high level of community involvement is necessary for SCAP because ultimately our goal at CIRC is to empower the Spokane community to ask and answer complicated questions about how climate variability and change is likely to impact them. We want to help Spokane by empowering a cadre of committed individuals who are knowledgeable about and committed to addressing climate impacts over the long term. But with this teach-a-person-to-fish methodology comes an unavoidable learning curve and commensurate workload increase for those working with us. This increase, however, produces extremely meaningful results for the community willing to go that extra mile. This blog will talk about that as well. SCAP was developed through conversations with CIRC’s Stakeholder Advisory Council during our RISA team’s 2017 summer retreat. Made up of key Pacific Northwest individuals in public resource management and the private sector, CIRC’s 13-member advisory council consults annually with our RISA team about potential partners and projects, helping to keep our efforts attuned to the needs of the region we serve. At that 2017 meeting, our advisory council identified the community of Spokane, Washington as a potential new CIRC partner. CIRC followed up on the council’s advice by conducting a series of meetings last fall in Spokane to gauge interest. Fast forward a year and we now have a small group of Spokane community members working with the CIRC team. Following a discussion period, the Spokane community made the decision to focus on climate impacts to the local water supply. Specifically, the community is interested in projected future changes to the Spokane River and Spokane Valley-Rathdrum Prairie Aquifer. While water and other physical processes are SCAP’s stated focus, at its heart, community adaptation is about the community. SCAP’s Spokane community participants will be the key to the project’s success. In Spokane, we are fortunate to be working with a diverse group of individuals who bring their own expertise, skill sets, and ideas to the table. The project’s Spokane-based stakeholders include resource managers from Spokane County, the City of Spokane, a local energy provider, and the Washington Department of Ecology, as well as researchers from Gonzaga University and Washington State University, to name just a few. Relying on community involvement is where CIRC’s Community Adaptation efforts diverge from the traditional scientific method. At the heart of nearly every CIRC Community Adaption effort is coproduction. Coproduction involves intense collaboration between researchers with specific expertise and stakeholders—people and organizations with a stake in a given issue or set of issues. Frequently stakeholders involved in a CIRC coproduction project are experts themselves, be they farmers and ranchers, city water managers, or surfers, to name a few groups we’ve worked with. Coproduction is intended as an addition to normal scientific inquiry. Coproduction takes the scientific methodology—defining a question, applying a method, collecting and analyzing data, and interpreting results—and adds a social component that involves incorporating local values and needs as well as local information in the development and interpretation of data. In this way, coproduction is about something more than science as the discrete domain of experts. Coproduction is about community. It’s about people working together. It’s about combining social and scientific values. At CIRC we’ve found that our team’s expertise—climate science, social science, and outreach—can complement a local community’s knowledge, expertise, and concerns, and that together we can accomplish great things as we work together to adapt to climate variability and change. In Spokane, SCAP participants and CIRC are starting to do just that by coproducing a vulnerability assessment for Spokane and the surrounding region. A vulnerability assessment is a way to determine the vulnerability of a community to a given threat or set of threats. A climate vulnerability assessment systematically analyzes climate impacts faced by a community as well as a local community’s capacity to respond to those threats. A climate vulnerability assessment, in other words, is a tool for not only assessing climate impacts, but also cataloging decisions to prioritize how to use limited resources in ways that can help lessen the worst effects of those impacts. At our meeting in May, the SCAP team brainstormed the top climate issues related to water that Spokane faces. We outlined the steps of the vulnerability assessment process, kicking off the first step, which involved gathering data and information. Making a vulnerability assessment in a coproduction setting means lots of hands on deck, which in this case meant lots of hands with lots of markers on lots of yellow paper working to keep up with lots of brains working together to sketch out the parameters of the assessment. We should state again that we are still in the early stages of the assessment process and still have lots of work to do together. The next stage of the SCAP effort gets at the heart of our teach-a-person-to-fish approach. It’s where we hand over the fishing rod, so to speak. In this case the fishing rod is The Northwest Climate Toolbox, a virtual toolbox of online applications tailor-made to help the Pacific Northwest’s water resources managers, foresters, farmers, and other important decision makers respond to and prepare for climate impacts. Our goal for SCAP is to teach the project’s participants to use the Toolbox’s tools to help develop their vulnerability assessment. The Toolbox-based work is expected to form the broad brushstrokes of the picture that the vulnerability assessment will ultimately paint. The granular, foreground details will come later when we overlay the climate and ecosystem background information with other data expressing societal values and concerns, such as concerns about future water demand and how that might change as the region’s population grows and its industry and farming expands. With the foreground and background both fleshed out, we will go on to the next step of the vulnerability assessment: ranking and categorizing the many pieces of the picture to inform decisions and conversations around the impacts of those decisions. At CIRC we will work to streamline this process as much as possible, however, we fully expect the community to drive the Toolbox stage and every stage of the assessment process by applying their own expertise and understanding of their local community to make the assessment as relevant to them as possible. We know this stage of the process will likely involve extra work for many and possibility even a learning curve for some. However, that’s kind of the point. Coproduction produces relevant results because it involves the local community not as passive consumers of science, but instead as active co-producers. Communities steer these efforts. From past projects we have worked on, the CIRC team knows that building this in-house capacity is undoubtedly the best approach for institutionalizing the ability to make climate adaptation a part of the yearly, monthly, and even daily operations of decision makers. And in the long run, that’s CIRC’s goal. Climate impacts are ongoing and long term and require planning to match. The surest way to ensure resilience in the long term is by establishing a knowledgeable cadre of community members who are willing and able to tackle the problem. We are beginning to see this cadre form in Spokane; something everyone involved in the effort can and should wear as a badge of honor as we coproduce science together. Let’s roll up our collective sleeves and coproduce something lasting that we can all be proud of. Coproduction—a collaborative effort between researchers with specific expertise and stakeholders. Stakeholders—people and organizations with a stake in a given issue or set of issues. Vulnerability Assessment—a process designed to determine the vulnerability of a community to a given threat or set of threats. Ann Mooney is CIRC’s Project Manager and Stakeholder Engagement Specialist. A native of Spokane, Washington, Ann joined CIRC in January 2018. She is currently leading CIRC’s Spokane Community Adaptation Effort. Prior to CIRC, Ann worked with communities in Southeast Asia as part of National Oceanic and Atmospheric Administration (NOAA) efforts to protect local fishing communities and the coastal ecosystems they depend on.